Mary Maxim began with hand knit designs in the early 1950s, influenced by the beautiful wildlife of North America. In celebration of their 60th anniversary (! ), Roots Canada created a nostalgic collection featuring the iconic curling sweaters and accessories that are just as quintessentially Canadian today as they were then. 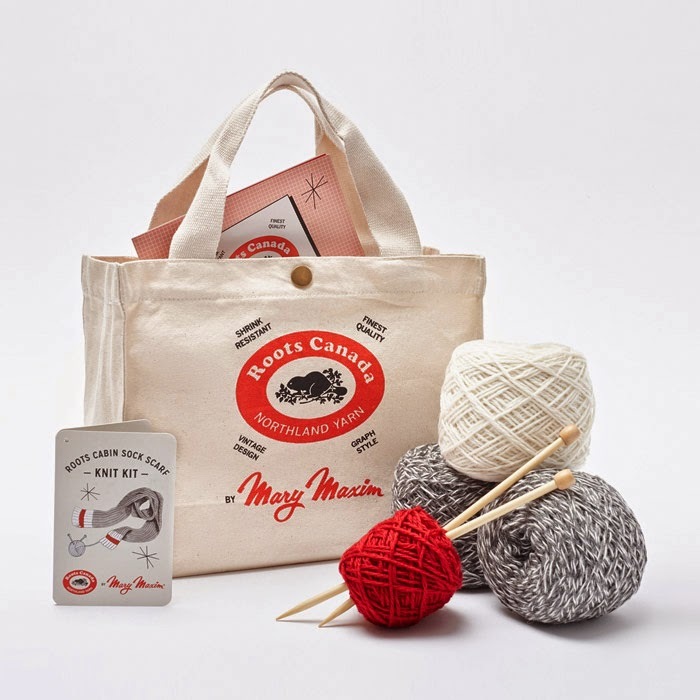 We tried our hand at the Roots Canada by Mary Maxim Knit Kit - an adorable DIY kit that teaches you to knit your own Roots Cabin Scarf. 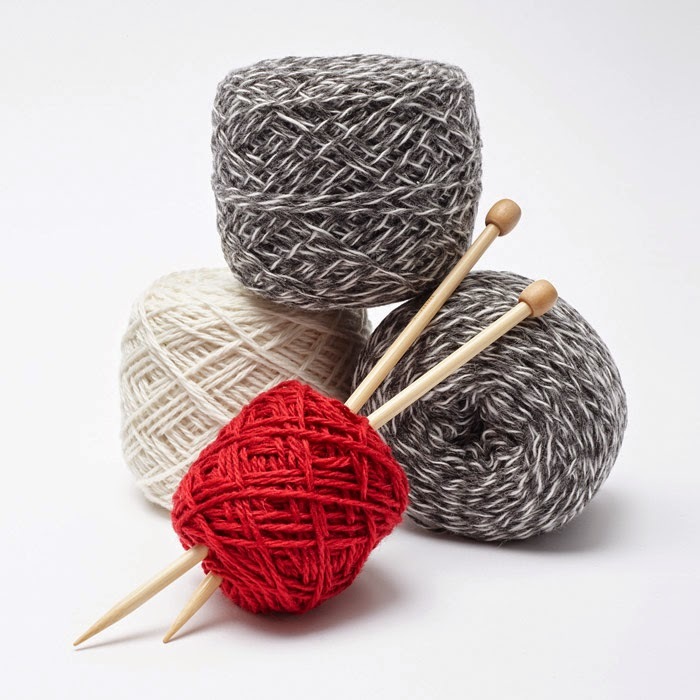 We decided to help get you started by breaking down the simple knit stitch. 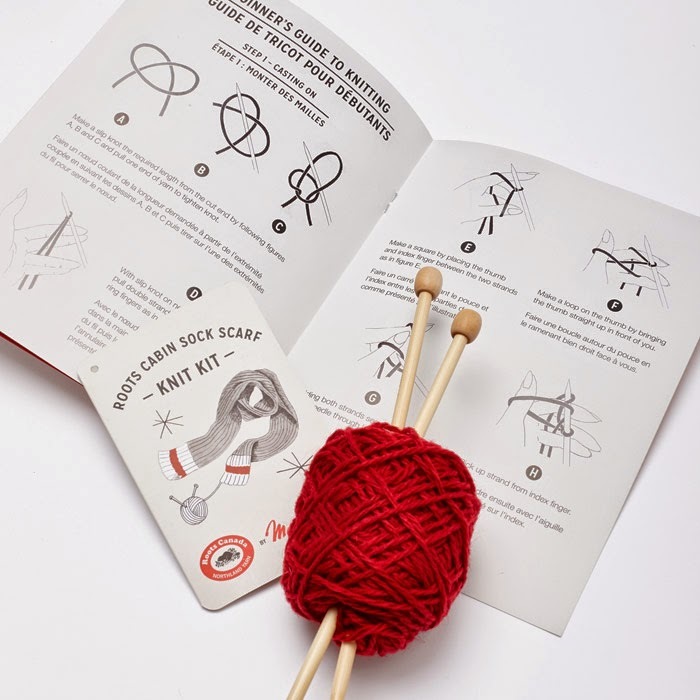 Step 1: Follow your Knit Kit instructions for casting-on (this is essentially a method for creating interconnecting slip-knots). Step 2: And now the knitting begins: insert your right-hand needle into the first stitch on the left-hand needle, always keeping your yarn in the back of work. Step 3: Bring yarn under and over the point of your right-hand needle. Step 4: Draw through stitch, allowing stitch on left-hand needle to slip-off, leaving new stitch on the right-hand needle. That's it! That's knitting. 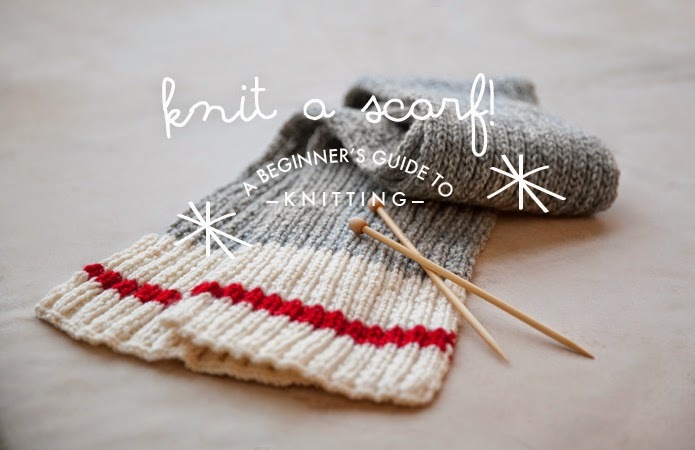 To complete the scarf, you could simply knit through it or for you more seasoned knitters, follow the pattern provided in the knit kit. No matter your skill level, this is a fun weekend project that’s a guaranteed way to get into the holiday spirit. Roots is offering Poppytalk readers free shipping on any order within Canada or the U.S.A. Enter Promo Code: POPPYTALK. Promo Terms: Enter promo code POPPYTALK to receive free standard shipping on any order size within Canada or the U.S.A. Not redeemable for cash, nor is it valid for any previously purchased merchandise. Offer cannot be combined with any other discounts, promotion or offers (unless otherwise specified). Offer valid from Tuesday, November 18th, 2014 to Tuesday, December 16th at 1:30PM ET. Offer subject to change. Shop the Roots Canada Mary Maxim Collection. I most certainly need this! Beautiful Scarf. aweekfromthursday - isn't it great? Veronica - yes! you can do it! Do you know when the kit itself will be available? The link does not lead to the kit. When will it be available? This looks great! I love crochet but I have no idea how to knit. Do you know if this kit is available in the UK please? Tracy and Melissa - sorry - it's online now. Hi Kate - looking into that for you - stay tuned! no savings from Poppytalk on this kit as Roots offers free shipping anyway on orders $50 and over. 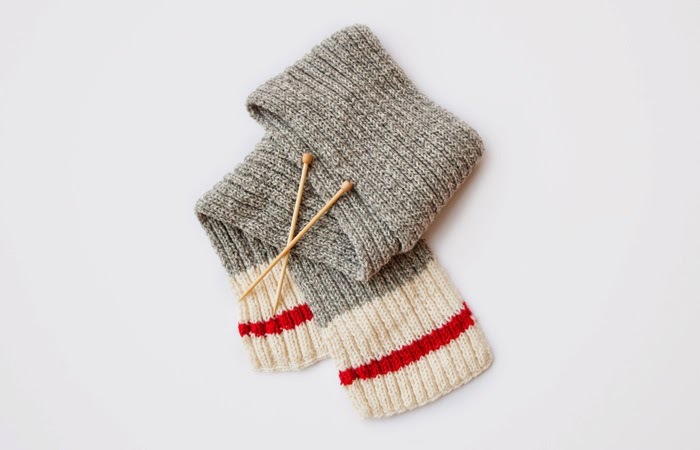 I can't seem to find the sock scarf kit anywhere on their website. Not in a site search and not in the Mary Maxim collection. Any thoughts? 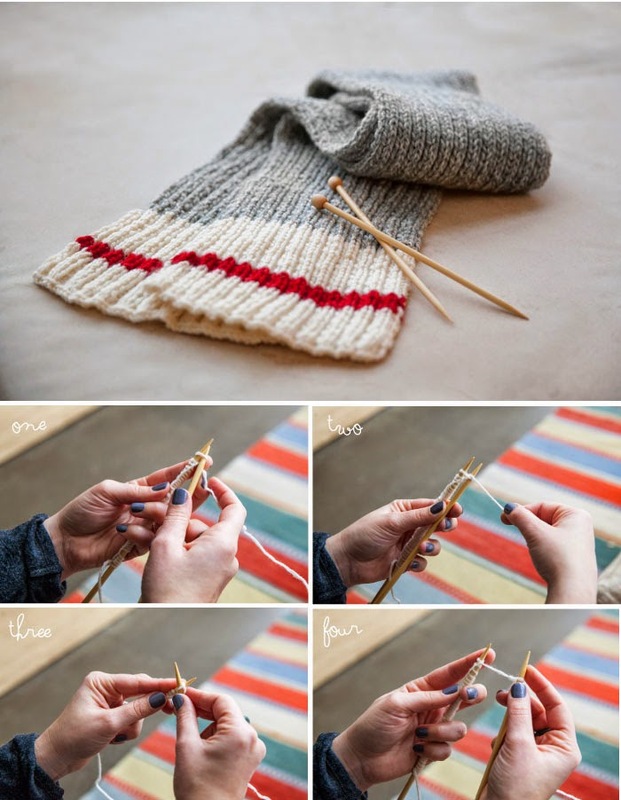 Is this the made up using the brioche stitch? ?